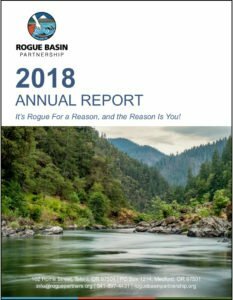 Rogue Basin Partnership - It's Rogue for a Reason! The Rogue is a visceral place. Inspired by natives who simply wouldn’t give up. They wouldn’t give up its beauty, they wouldn’t give up its resources, they wouldn’t give up their home. They were called “Les Rogues.” That same visceral experience touches anyone who experiences its wonders. We aim to conserve and restore it, with EVERYONE’s help. Every day member organizations and hundreds of supporters come together across a wide spectrum to create the largest, most organized environmental impact that has ever existed in the Rogue. With inspired funding, accountability, and organizational know-how, we unite our members across a 3.3 million acre basin, and enable them to do their true work. 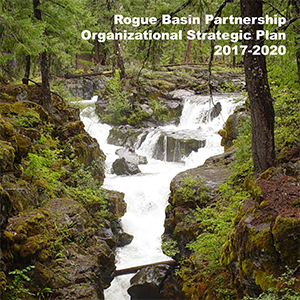 to unite people in restoring the Rogue by strategically investing in the stewardship of our Basin, and to provide a basin-wide venue and perspective to enhance the success of members and partners. We are harnessing the collective power to support healthy watersheds and vibrant communities. Click here for the complete events calendar.